Today, on World Malaria Day, Goodbye Malaria is celebrating the recent sale of its one millionth Relate bracelet, raising a total of $1million to directly to aid malaria elimination initiatives in Africa, whilst empowering South African communities through Relate's enterprise development initiatives through the employment of previously disadvantaged persons. A portion of funds from every bracelet sold around the world is also designated for enterprise development initiatives in South Africa. 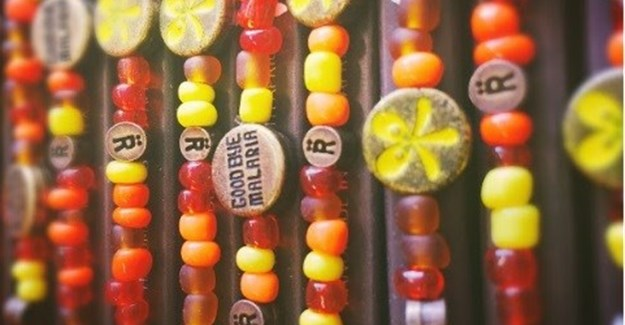 It took eight years to reach this milestone, thanks to the support of retailers, partners, corporates and Goodbye Malaria and Relate bracelet's global supporters. The orgainsation has paid special tribute to Goodbye Malaria and Nando's co-founder Robbie Brozin and adventurer Kingsley Holgate, who have both been actively involved in malaria prevention initiatives on the continent. The organisation is involved currently in eliminating malaria in Southern Mozambique, where Goodbye Malaria's Indoor Residual Spray (IRS) programme is underway. It has also developed its merchandising to create awareness among consumers, raise funds and develop skills and empower communities, increasing sales by 58% year-on-year in 2016/7, selling online via www.goodbyemalaria.com or in store. Each product has an inspiring story of the crafter who hand made it and the local business which employs and empowers them. Products include the Relate bracelets, a 100% not-for-profit social enterprise that provides senior citizens with meaningful employment, hand-beading Goodbye Malaria's colourful bracelets; pyjama pants in shweshwe print fabric; and the Mashozi teddy, where upskilled township women from Cape Town lovingly create a different part of the teddy's body, hand embroidering appliqued hearts and stitching. This article was first publish by Bizcommunity on 25 April 2017.